There is one word to describe my life right now – Busy! I have had a lot going on on various fronts – some good some bad – and I feel like I have spent more time on the road than at home these last few weeks. Rather than bore you with the gory details (some of which I will share in future posts) I will sum it up by saying that my time in the kitchen experimenting with my Shenanigans as been decidedly limited. I have been coming up with a steady stream of ideas, however, and I am hopeful that I can get into the kitchen this week to make some of my culinary dreams a reality. I did find time to make you these muffins! So, why muffins and not something else? 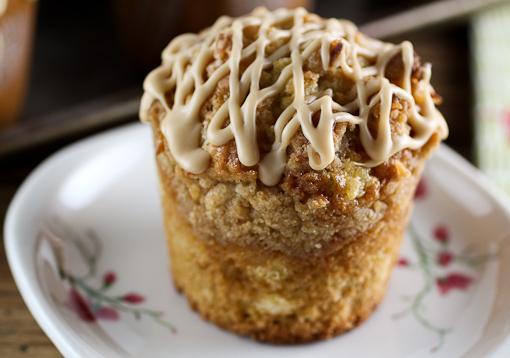 Well, muffins are quick to make, easy beyond words, and when properly made they are irresistible! These certainly are … ask my co-workers. 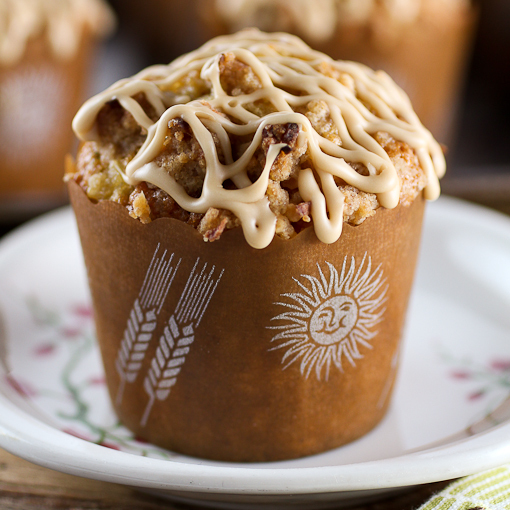 These muffins are crazy moist from the fatty coconut milk and vegetable oil used in this recipe. They are so moist, in fact, that they keep for up to two days in an air-tight container at room temperature. The muffins have not one, but two toppings. First, before baking they are sprinkled with a toasted coconut crumble, then once they are baked and cooled they are drizzled with a glaze made with homemade coconut caramel sauce. All these flavors make for a rich muffin, and you may well wonder what keeps these muffins from being too rich to really enjoy? The answer is the tangy pineapple and sharp lime zest folded into the muffin. 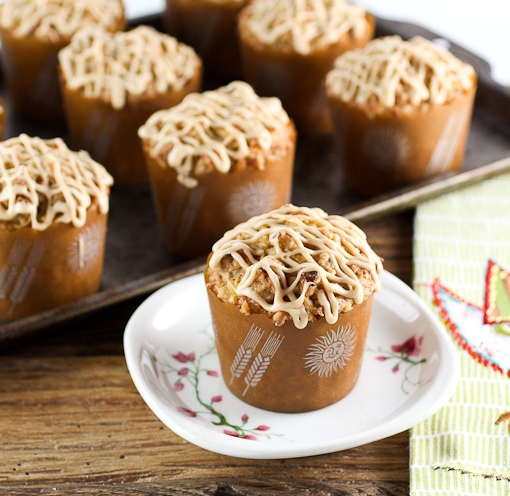 Their bright flavors balance out the deeper caramel and toasted coconut flavors and make these muffins decadent without being too much. By the way, the caramel recipe makes quite bit more than you will need for the glaze. I suggest using the left-over sauce drizzled on ice cream, spooned over grilled fruit, stirred into coffee, or folded into whipped creams. Start by making the Coconut Caramel Sauce. In a medium saucepan with deep sides add the sugar, corn syrup, and water. 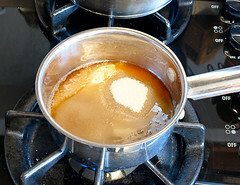 Place the pot over medium heat and, swirling but never stirring, bring the mixture to a boil. Brush the sides of the pan with a wet pastry brush if any sugar crystals cling to the edge of the pot. 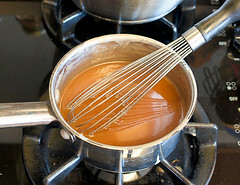 Allow the mixture to boil until it is a deep amber color and the sugar smells like dark caramel, about 6 minutes. Remove the pot from the heat and, very carefully as it will bubble up, whisk in the coconut milk, heavy cream, and butter. 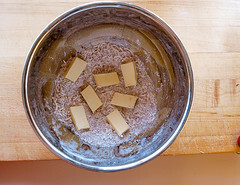 Once the butter is melted let the caramel cool to room temperature. Left-overs can be stored in the refrigerator in an air-tight container for up to a month. 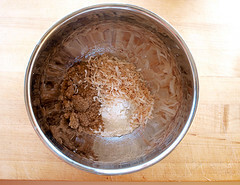 For the topping combine the flour, sugar, and coconut in a small bowl and toss to combine. Add the cubed butter and, with your fingers, rub the butter into the flour mixture until the butter is combined and the mixture has a crumbly texture. Cover and chill until ready to use. 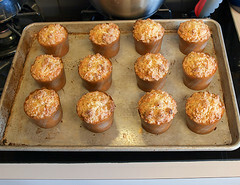 Heat the oven to 350 F and line a 12 cup muffin pan with paper liners, or place 12 paper baking molds on a baking sheet. 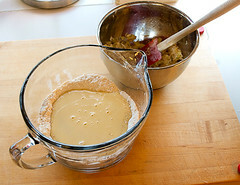 In a medium bowl combine the flour, sugar, baking soda, baking powder, and salt. Whisk thoroughly to combine and set aside. In a separate bowl combine the coconut milk, oil, eggs, and vanilla and beat until well combined. 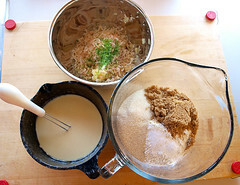 Pour the went ingredients into the dry and stir until the dry ingredients are just moistened, about 10 strokes. 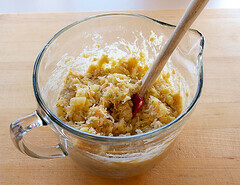 Add the pineapple, coconut, and lime zest and fold to combine evenly, about 4 to 5 additional strokes. Divide the batter among the prepared baking cups. 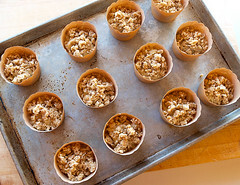 Top each with the crumble topping and bake for 18 to 22 minutes, or until the muffins are golden brown and spring back when gently pressed in the center. For muffins baked in a muffin pan, cool in the pan for 3 minutes then transfer the muffins to a wire rack to cool to room temperature. 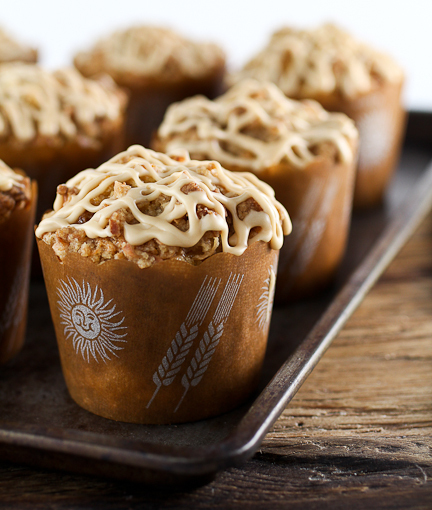 For muffins baked in paper molds cool to room temperature on the baking sheet. While the muffins cool prepare the glaze. In a small bowl combine the powdered sugar and the Coconut Caramel Sauce. Whisk until smooth. The mixture should be runny, but form a ribbon when drizzled into the bowl. If the mixture is too thick add coconut milk ½ teaspoon at a time until it thins out. 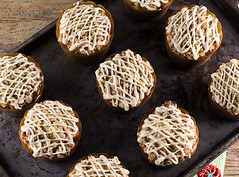 Once the muffins have cooled drizzle them with the glaze. Allow the glaze to set for 1 hour before serving.